A new talent and events agency is powering up Detroit’s arts and entertainment scene. 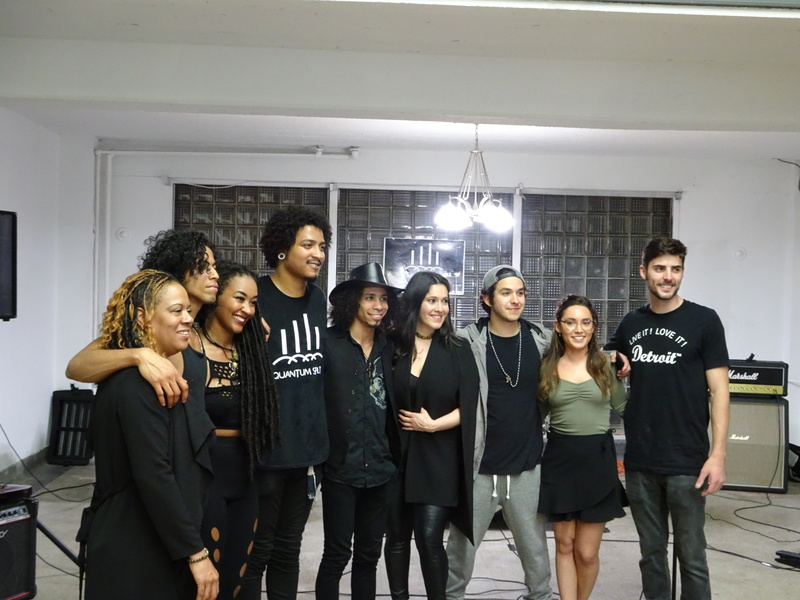 Known as POWER Events | Entertainment, the Detroit-based agency hosted a launch party April 20 at CLUBHAUS Detroit to showcase emerging music, modeling, acting and athletic talent in the Motor City. About 200 guests attended the launch party hosted by POWER co-owners Donna Kassab and Kelly Adolph and watched a fashion show featuring models wearing casual, modern styles with a bohemian flair from UnitedFront. Draped in hues of gold, cream and light blue, models sashayed down the runway to dance and hip-hop tunes spun by Detroit-based DJ Kobra Kinney. Attendees also munched on appetizers by Detroit Catering Company and JusNCredible Eats and drank Hawthorne Vineyards wine served Brut Detroit and signature cocktails by Top Shelf Bartini. Kassab and Adolph launched POWER in October to provide more talent opportunities in Detroit for arts and entertainment professionals and introduce them to local businesses. During the launch party, attendees tuned into the earthy, cinematic and celestial tunes of SIAS, a Detroit-based alternative world music band featuring Josias Yglesias (vocals), Scott Posada (guitar) and Haley Grant (piano). SIAS played several tracks from their 2016 debut EP, “Origin,” including “Oceans of Time,” “Aura” and “Stand Tall.” The band also debuted a new single, “Rewind,” for the crowd. The crowd also jammed to the rock, soul and hip-hop infused sounds of New York City-based Quantum Split, who made their inaugural performance in Detroit and closed out the launch party. With the launch party officially wrapped up, POWER is getting ready to expand the Motor City’s musical palate with a new one-day outdoor music festival, Detroit LIVE, in downtown Detroit on Aug. 12. Detroit LIVE will highlight the city’s undiscovered music talent for local residents. POWER is currently assembling its lineup for Detroit LIVE. Interested musicians can submit their music and videos for Detroit LIVE at POWER’s website.